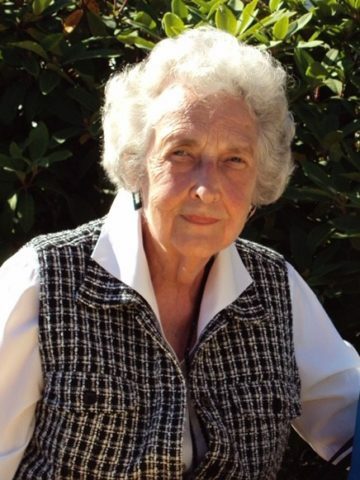 Alberta Noe Martin, 92, of Logan County, Kentucky, passed away peacefully the afternoon of Sunday, February 3, 2019, surrounded by her children and loved ones. Alberta was the daughter of Charles Browning Noe and Annie McReynolds Noe of Logan County, Kentucky. She was born August 9, 1926 and raised on the family farm until relocating to Nashville in 1943 where she met and married the late Captain Henry Edward Martin, WWII veteran, and C-87 pilot in the Army Air Corps. She and Hank left a legacy of forty-five family members. Survivors include her sister Betty Ruth Orndorff, Adairville, KY, daughter Carol Elrod (Charlie), Louisville, KY, Edward Martin (Myrna), Franklin, TN, Marie Morris (Taylor), Franklin, TN, Ann Thornton (Terry) Nashville, TN, and Tom Martin (Amy), Raleigh, NC, fourteen grandchildren and eleven great-grandchildren. Alberta was a lifelong member of Woodmont Christian Church, long-time employee of the English Department at Vanderbilt, and beloved matriarch of the Martin family, often hosting large family get togethers in their Glen Echo home. She loved Vanderbilt and Kentucky basketball, spending time with her grandchildren, and volunteering for her church. She was most admired for her cooking talents. Grilled cheese sandwiches and chocolate milkshakes were a favorite among her grandchildren, and she taught the family how to best prepare the meals for their annual Thanksgiving reunion in the Smokies. She enjoyed raising flowers in her garden, getting her hands in the soil was her therapy. Alberta will be remembered for her love for others, self-less servant’s heart, kind disposition, quiet strength, and devotion to Christ. She will be greatly missed by her family who grieve her loss even as we celebrate her homecoming in heaven and look with joy to the day we will be reunited. Family visitation will be held this Friday, 10am - 12pm at Woodmont Christian Church, followed by a Celebration of Life Service at noon at the church. Interment follows at Woodlawn Memorial Park. Funeral arrangements are being handled by Harpeth Hills Funeral Home. The family wishes to express our utmost appreciation to Linda Phillips whose loving care and companionship for our mother ministered to us immeasurably. The family also appreciates the services of Stay at Home, Senior Plus More and Willowbrook Hospice. In lieu of flowers, contributions can be made to Woodmont Christian Church, Capital Campaign- Chapel. Such a beautiful picture of Alberta. Love and prayers to all. like she wanted to talk . repair, she brought Bill a box of candy! A wonderful lady inside and out. Bill and I met your parents when we first arrived @Woodmont Christian Church, many years ago. She’ll be missed. You are in our thoughts and prayers.